Briefly glimpsed as a Hogwarts textbook within the blockbusting Harry Potter franchise, J.K. Rowling's wizarding creation Fantastic Beasts and Where to Find Them has now taken flight as a fully-fledged big-screen spectacle rammed full of memorable characters, special effects and dazzling creatures. Acting as a prequel to the aforementioned Potter movies, the film is set 70 years before Harry even set foot in Hogwarts, whisking us back to 1920s New York and bringing us the adventures of magizoologist Newt Scamander (Eddie Redmayne). 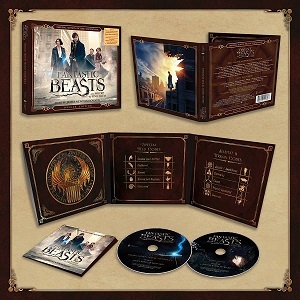 Expelled from Hogwarts and coming face to face with the American system of magic, headed up by MACUSA (Magical Congress of the United States of America), Newt inadvertently causes havoc when the beasts lurking within his briefcase escape onto the streets of Manhattan, all whilst a deadly new threat could potentially lead to a breakdown between the magical and non-magical realms. There's a host of new faces introduced in the first Fantastic Beasts movie, scripted by Rowling herself (her screenwriting debut) and directed by Potter veteran David Yates. 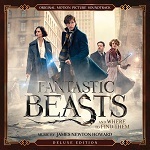 Alongside Newt, there are witchy sisters Tina and Queenie (Katherine Waterston and Alison Sudhol), no-maj/muggle Kowalski (Dan Fogler), MACUSA security chief Percival Graves (Colin Farrell), and the sinister forces of a resurgent Salem anti-witch faction headed up by Mary-Lou Barebone (Samantha Morton). It's a rich, if overstuffed, canvas, but one thing's for sure: such a canvas always allows a film composer the chance to unleash a symphonic powerhouse of wonder. 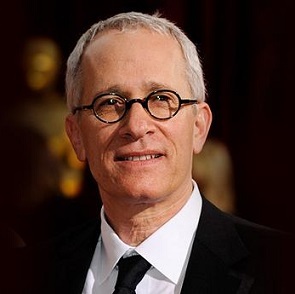 Step foward James Newton Howard, himself a veteran of the adventurous and fantastical having delivered spectacular scores like The Last Airbender, Waterworld, King Kong, Lady in the Water, Maleficent and Treasure Planet. Howard is a composer who really thrives when his music is allowed to go big; his contemporary urban scores (of which there are many) such as Michael Clayton bog down in underwhelming ambience at the expense of the rich melody for which he is celebrated. Fantastic Beasts also affords Howard the sort of juicy franchise opportunity he's been denied over the past few years. He collaborated with Hans Zimmer on Christopher Nolan's first two Batman movies but it was the former's voice that dominated (to their detriment), whereas the Hunger Games series was maddeningly inconsistent in terms of utilising the composer's strongest ideas, an odd tapestry of the occasionally inspired and often underwhelming. Thankfully Fantastic Beasts bests all of them and allows Howard to finally get back to his operatic best. Given he's working from a magical Rowling source, and given this first movie has to set up a wealth of characters and scenarios, it's little wonder Howard's score is stuffed full of themes and motifs. Several of these are fully developed whilst many others are relatively fleeting, presumably waiting to be developed further in the next movie (to which he is thankfully attached - fingers crossed he'll also remain for the three films after that). The main question of course is whether he's used John Williams' famous Hedwig's Theme from the Harry Potter series. The answer is yes but only twice, and very briefly: once in the 'Opening Titles' (more an overture encapsulating several of the score's main ideas) and then in 'The Niffler', but it's more to establish a genetic legacy with the previous franchise. Howard's main aim is to firmly establish his own set of ideas. The score is centrally anchored by not one but two themes for Newt. The first is a scurrying, staccato string piece for his somewhat clumsy nature, described by Howard as having a "Charlie Chaplin quality", whereas its brass and snare drum counterpart manifests as the heroic side of Newt's personality. These two ideas present a complete picture of our main character and help give the score a clear sense of focus, a centrepoint around which the myriad other ideas swirl. 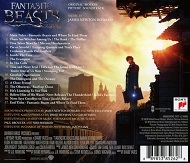 Newt's whimsical theme tends to dominate the initial stages of the album. Its sprightly appearances in 'Main Titles', 'The Bank', 'Inside the Case' and at the start of 'The Erumpent' help us get acquainted with our deceptively scatty, beast-hunting hero, whose meek nature in fact belies the sense of bravery that emerges later on. The 'hero' theme makes its first proper appearance fairly late on in the rousing 'Swooping Evil' medley before properly flourishing during the spectacular live-or-death climax in tracks 'The Demiguise and the Occamy', 'The Obscurus/Rooftop Chase', 'Relieve Him of His Wand' and the climactic 'End Titles', barnstorming orchestral slices of derring-do that call to mind earlier Howard classics like the aforementioned Treasure Planet. By and large Howard assigns a motif to most of the story's principal characters. An enchanting choral theme for witch Tina floats its way through 'There Are Witches Among Us', 'Tina Takes Newt In', 'MACUSA Headquarters' (whose lilting vocal work and skipping strings tie perfectly into the spine-tingling reveal of America's magical headquarters), and 'Pie or Strudel'. Its later recapitulations in the hugely dramatic 'Let's Get the Good Stuff Out' and the deeply moving 'He's Listening To You Tina' are fine examples of how Howard is capable of pushing his thematic ideas into bold and unexpected avenues. 'Tina and Newt on Trial' is another, molding the theme into anguished shapes as our main characters come face to face with the dark persecution bubbling beneath the veneer of magic society. There's also a snazzy stand-alone jazz number for goblin gangster Gnarlak (Ron Perlman) in 'Gnarlak Negotiations', which culminates in a brief statement of Newt's heroic theme. More significant is the menacing percussive theme for mysterious antagonist Gellert Grindelwald (Johnny Depp): given the character is a somewhat ill-defined presence who is poised to develop into the franchise's main villain, Howard isn't given much of a chance to develop this idea beyond a later statement in 'Relieve Him of His Wand'. Other menacing ideas include the subtle air of tick-tock percussion, electronic ambience and dark strings hanging over 'Credence Hands Out Leaflets' and 'In the Cells', alluding to Credence (Ezra Miller) and Percival Graves' hunt for the dreaded Obscurus (a magical parasite that emerges when a magical person suppresses their powers). This idea eventually erupts in thunderous action piece 'The Obscurus/Rooftop Chase'. Complementing the expert balance of light and dark is yet another stand-alone choral theme in 'A Close Friend'. One of the most beautiful in the score, it alludes to a key part of Newt's history that is only hinted at in this first instalment; one can only hope that the emotional theme will develop further in the later scores. Lastly are the multitude of themes for the beasts themselves, which come and go throughout the score. The first, for impossibly cute, furry kleptomaniac 'The Niffler', was reported to have been scored by Howard no less than seven times before he got it right, and it's a suitably mischievous little theme for light strings and winds. By contrast 'The Erumpent', an enormous, rhino-esque creature, is preceded by a host of Middle-Eastern-sounding percussion before leading into a King Kong-style barrage for trumpets and horns that is quite thrilling. (Kowalski's material is also cleverly mixed in to mirror his pursuit by the creature.) Elsewhere 'The Demiguise and the Occamy' builds from glacial, eerie chimes into a carnival-esque piece for raucous brasses that is probably the one most akin to John Williams on the album. The score's centrepiece is 'Inside the Case', accompanying the film's most wonderfully imaginative scene as Newt reveals to Kowalski the extraordinary, beast-filled landscape contained within his trusty luggage. A superb piece of fluid musical storytelling, it stitches together the Niffler, Occamy and Erumpent themes with the emergent one for the Thunderbird (the beast most important to the plot) and a sweet little motif for the adorable, plant-like Bowtruckle, before ending with a dark hint of the Obscurus theme. Rising and falling with a genuine sense of wonder, weaving around Newt's whimsical theme as he acts as our magizoologist guide, it's set to go down as one of Howard's greatest creations. The Thunderbird theme is almost certainly the standout of the bunch, alluded to in the 'Main Titles' before soaring into life in the sensational climax 'Newt Releases the Thunderbird', carried on expansive strings, piano and subtle choir in the style of Howard's monumental The Last Airbender. Given the emergence of this particular creature is tied into the development of Newt as a character, it makes sense that the theme takes centre stage in the poignant 'Newt Says Goodbye to Tina', an altogether more intimate rendition of the piece that lends a sense of humanity to the narrative. The aforementioned 'End Titles' then leaves the listener with a massive grin on their face, rounding up all the principal ideas in as fluid and exciting a fashion as we'd expect from this composer. It's clear that Howard is juggling an awful lot of plates, and he pulls it off superbly: this is a score that comes from a place of great warmth and affection, enveloping listeners in a charming sense of fantastical escapism. Being the first score in a new franchise, many ideas are inevitably left by the wayside to be revisited in later entries. However given it's all anchored by the two wonderful themes for Newt, the dramatic arc is already firmly in place and it's intriguing to speculate on how Howard will develop not only Newt's themes but also those for his allies and enemies. It's wonderful to have Howard back in engrossing, engaging fantasy mode, finally contributing to a series where his music can take centre stage to further enhance our sense of awe and wonder. The Harry Potter series of course featured a who's-who of some of the greatest film scorers, from John Williams to Patrick Doyle, through Nicholas Hooper and Alexandre Desplat, and Howard clearly had a lot to live up to. Not only does he honour that legacy: he also establishes a charming sense of tonal whimsy and enchantment clad in his own distinct mannerisms. One of 2016's finest adventure outings. The standard score is available at: Amazon.co.uk and Amazon.com with the deluxe edition at Amazon.co.uk and Amazon.com.